Charter a private flight to Irvine, one of the more affluent cities in Orange County. Whether flying private for business in Irvine or to relax at one of the resorts along Laguna Beach, we can help arrange the right aircraft and flight itinerary that best suit your needs. Los Angeles Private Jets believes in providing private flyers with a one-on-one consultative service experience that exceeds every expectation. We understand that your time, privacy, flight preferences and most of all, safety, are all extremely important. Our Irvine Jet Charter representatives are available for you by phone and email 24 hours a day, 7 days a week. When using our private aviation service, you can expect quick response times and an easy, hassle-free booking process. Request a quote or call us to arrange your private flight to Irvine, California. Irvine is a planned city in Orange County, California, developed by the Irvine family since the 1960s. The city of Irvine continually ranks among the top ten lists for best run cities and best places to live in the United States, and several technology and semiconductor corporations have headquarters here, including some major international outfits such as Samsung, Mazda and Toshiba. 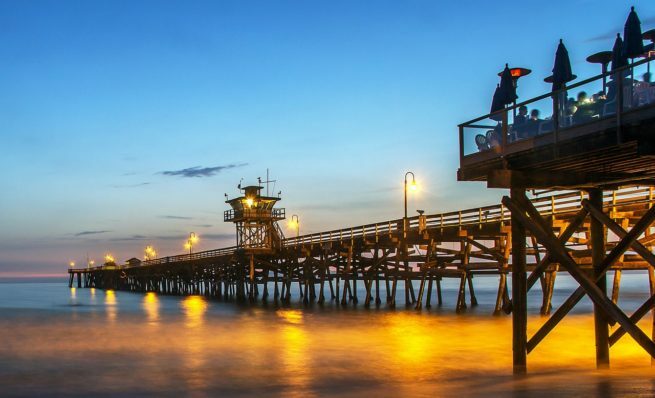 Irvine and the surrounding area has a lot to offer private luxury jet travelers, from the beautiful artwork along Laguna Beach, to a variety of hotels and resorts for luxury getaways, business trips and special events. The following list of our top choices was created based on factors such as Los Angeles Private Jets passenger feedback, location, amenities and online reviews. Once you arrive in Los Angeles County via luxury private jet, our Irvine Jet Charter agents can also arrange ground transportation to/from the hotel of your choice. After flying private into Santa Ana’s John Wayne Airport, you’ll find the city of Irvine located just across the street, a city best described as a perfectly planned suburbia. Usually this kind of design and functionality is reserved for television and movies, which makes sense that it would appear around Los Angeles. Irvine somehow finds a way to pack everything you’re looking for within 45 square miles of space – enjoy metropolitan shopping, arts and culture exhibitions, hiking, international ballet, concerts, world-class golf courses, balloon rides, and one of the more diverse cuisines on the west coast. Irvine is intersected by the 5 and 405 freeways, making it easy to get around to other destinations in places like Santa Ana, Newport Beach, San Clemente, Laguna Beach and Mission Viejo… that is, unless you’re anywhere near rush hour. The city of Irvine fast becoming the business center of Orange County, with more and more national and international companies establishing a presence in the city. The areas bordering Newport Beach and surrounding the freeways in Irvine are commercial zones, where many of the larger companies have built their offices. Check out more of our recommendations after your private flight to Irvine, California. This oceanfront area stretches along the bluffs on Cliff Drive running from Aster Street all the way to Diver’s Cove, and offers artsy park benches, walking trails, sculptures, ocean views, a marine refuge, rocky shores & tide pools. One of Southern California’s premier destinations for private jet travelers, the seaside resort city of Laguna Beach offers a variety of activities for art, nature and beach lovers. The area along the beach is home to a variety of beautiful five-star resorts, and the city can have a distinctly Mediterranean vibe during the hot summer months. Beach Boys fans may recall the the city being mentioned in the song “Surfin’ Safari”, and while there are some good surfing breaks in Laguna, it is advised to check with lifeguards before riding the waves as they tend to get pretty gnarly in some areas. Diver’s Cove in north Laguna is where the best scuba and skin diving is enjoyed, and Crystal Cove State Park, Crescent Bay Point Park and Heisler Park are all popular gathering places with great walking paths and scenic ocean views. Wine aficionados can head over to the Laguna Canyon Winery for tour and tasting after their private flight. Considered one of the largest master-planned communities ever built in the United States, Mission Viejo is a picturesque, tree-lined neighborhood with a community lake at its center. Lake Mission Viejo has boats available for rent if you’d like to enjoy some time on the lake, and the beaches on the north and east are great for catching some rays. Arroyo Trabuco Golf Club is home to some of the best golf in the area, and Burke Williams Day Spa offers guests a chance to indulge in some relaxation therapy after your private flight. Home to the most popular beach in the state of California since 1937, San Celemente lies midway between Los Angeles and San Diego. The city is known for its dramatic views of the ocean, hills and mountains, and its pleasant climate and Spanish colonial architecture earned it the nickname the “Spanish Village by the Sea”. The city has an unparalleled surfing legacy, home to surf media outlets such as Surfing Magazine, The Surfer’s Journal, and Longboard Magazine. There’s a ton of surfboard shops and manufacturers in town, and swells along the beach from Trestles to Poche Beach have turned the city into a home for world-renowned surfers. Book a private flight for San Clemente and catch the waves this summer. Los Angeles Private Jets utilizes the following airport to fly clients privately to/from Irvine, Laguna Beach, and surrounding areas. Request a Quote or give us a call at 1-888-987-5387 to speak with one of our Irvine Private Jets representatives for your next luxury vacation, business trip, or special event.